Ain’t It Cool News reporter Capone got have a bit of a chat with Alice Englert and Alden Ehrenreich, which oddly enough begins with some talk about Batman before going on to the advantages of being unknowns and a more descriptive tale of how they got their parts. 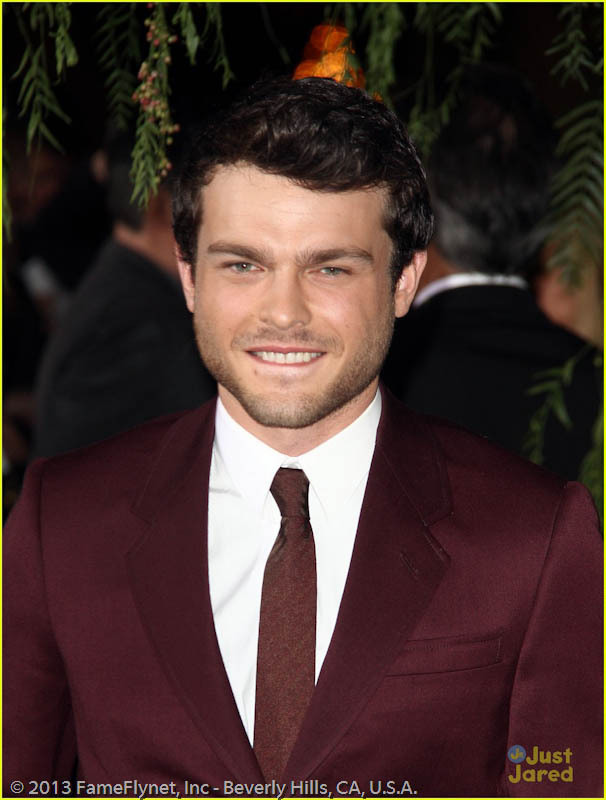 Alden Ehrenreich: So they filmed all of the BATMAN films here? Capone: They filmed the first two here. Alden Ehrenreich: Where’s the third one? Capone: The last one was shot mostly in Pittsburgh. Alden: Interesting, I always thought it was in New York. Capone: In fact in THE DARK KNIGHT, the whole final battle with the Joker was filmed in this building when it was being built. Remember, it was a construction site? That’s this building. 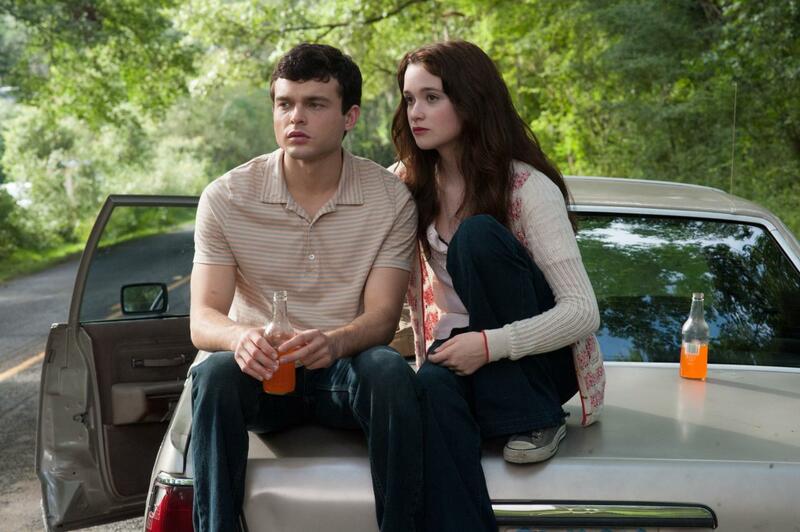 Alice Englert: So you can totally say you’re in BATMAN. Alden: So we could be right where it was? Capone: One of the things I was going to say about this film is that, because you guys are relatively unknown, you don’t bring any baggage with you. So, you are going to be these characters to everybody now. This movie will be your baggage henceforth. Capone: I assume you’ve signed on to do a few more? Capone: Just two more? Though there are four books, right? Capone: Oh, so you get to renegotiate for the last one, okay. Capone: Have they given you a sense of whether they think that’s probably going to happen? Or is it more like a wait-and-see thing? Alden: I think it’s more of a wait and see how the first one does. Alice: Yeah, wait and see. Capone: Do you like that you’re coming into this, and people don’t really know you yet and that’s kind of a bonus? They go on about other actors who moved on to bigger and better roles after what they started with, and then the fact that casting directors are able to look beyond those well-known actors to find someone different for a role. Alden: That’s why I really appreciate this kind of thing in this Alcon [Entertainment] situation, because they’re a small company, and they just loaded it up with this amazing supporting cast, so that they could make the movie, because you need whatever the amount of the jar to be full of celebrity in some way, and that’s why we were able to be cast in the movie. I think if it was just a big studio film, I don’t know whether they can take those chances. Capone: Alice, I had read in other interviews that Richard actually pursued you for this. Did he ever say what it was he saw you in? Alice: Yeah, he saw me in an audition where I’d improvised. Alden: Really? I didn’t know that. Alice: No, actually for a Kevin Macdonald film [probably HOW I LIVE NOW], which I didn’t get. [Laughs] For a little while, there was a back and forth and I improvised, and Kevin had really liked this improvised thing I had done where I gave a speech about an anorexic girl with passing an apple between my hands the whole time, then just putting it down at the end and not eating it. Yeah he told me that that is what he saw. Alden: Imagine if you hadn’t auditioned for that. Alice: Yeah, so he saw that and he really liked it, so when I got the brief for the film I was like, “I don’t know. This sounds like something that’s been done.” I said, “No.” He was like, “Whoa, how exciting.” Then he started coming back, and I was like “Really? I’m not going to get it anyways.” I had already been through a whole studio process of maybe being cast as something, so I knew how often it doesn’t happen, and I just wasn’t that interested. Then he came again and kept emailing. I was like “These people are mad, so maybe they are my kind of people.” So I read the script and I loved it and I was like, “Damn, now I want it. Damn.” Then I did one audition and said, “I’m not going to get it. I’m not going to get it” for about three days, and then I found out I got it. Capone: Alden, I know that you were not the first person chosen for this part, because I remember about a year ago reading the articles about who was cast before you. But you had very little time to prepare once they called you in. Had you auditioned for this part originally? Alden: No. I similarly had passed on it–not passed on the part, but passed on coming in for it, having not read the script and thinking the same things that Alice thought. So we got a call that it was a last-minute thing and they needed to cast a part in a movie. We didn’t know what movie it was, so I had a meeting with the casting director and in that meeting…. Alice: Didn’t they like lure you into the house, and Richard was there? Alden: No, I was meeting with the casting director and I was like “Whose office is this?” She was like, “Oh, I was just using somebody else’s office,” and then Erwin Stoff, who is the producer, came in and said, “Oh, you’re here. It’s nice to meet you” as if he didn’t know, and it just so I could meet them, but we didn’t know what movie it was. So I went home and was like, “So what was that for?” and my manager said “BEAUTIFUL CREATURES.” I said, “Didn’t we already pass on that,” and they said, “Just read it.” I read it and within three pages of reading it, I knew I wanted to do it. Then I went in and met Richard and auditioned for him, and then a week later at eight in the morning, I got the call that I got the part. At four in the afternoon I was on a plane to New Orleans, and a week later we started shooting. Capone: So at what point did you realize that you were stepping in for somebody else who was no longer part of the project? Alden: I think right when I got the first call for the meeting, yeah. Alice: Actually my first response to reading the character was, “They’re not going to want me to do it the way I want to do it,” which was that I wanted to play her… I didn’t want to do lots of sarcasm. I wanted to almost play it opposite. I just did not want to do the angsty thing, because I think when you’re playing a young person angst happens anyway, especially when you’re a young person, like I am. I’ve still got angst in my boots and everything. Alden: That’s really a great story about Richard, because what’s special to me about what he did with the movie is he allowed things to go as left of center as possible and allowed a certain idiosyncrasy to be in the characters and the performances, and chose takes of performances that were the weirdest of the takes and left those in the movie, which to me is what defines it and makes it not generic and makes it a unique story about real people, that it has this squiggliness. It has this quirkiness to it. So that’s what I’m so grateful for to him. When I finally saw a cut of the film when I was doing ADR and I went, “Oh my god, you left in the take where I messed up my line,” as opposed to keeping it within some sort of narrow margin of romantic somberness or something like that. Capone: One of the things I’ve always love about him, just as a writer, is he has a really great ear for dialog that isn’t about pushing the plot forward. There are a few scenes tucked away in this movie that are just you guys talking about nothing, and I love those. Those are my favorite scenes. You could strip away all of the supernatural stuff and still have a strong young-love relationship story. Alice: That is one thing that I do think is really important, and we actually talked about this and how if you just took everything out, there would still be a love story, so that it can work on that level, work on this fantasy level, and not make a film that was done for the spectacle of the special effects. They go on about the stellar supporting cast, including one that doesn’t get as much notice as some of the other veteran actors. Capone: You mentioned these stage actors [Emma Thompson is also in the film], they also happen to be Academy Award-winning actors. But I will say, my favorite of the supporting cast was Margo Martindale. She’s the best. Alden: Me too. She is amazing. Oh my god, she from take to take was just so funny. That’s what’s special, because in a movie you see the take they chose, but you don’t see how they get to that. You don’t see the take before it or after it, and seeing her and what she did is amazing, and I got to ask her… Ned Beatty is like my favorite actor, and she did CAT ON A HOT TIN ROOF with him, so she told me all of these stories about him, and it was amazing. You can read the full interview at Ain’t It Cool News.